Dorothy a Publishing Project, 9780997366679, 128pp. Fiction. Latinx Studies. Women's Studies. 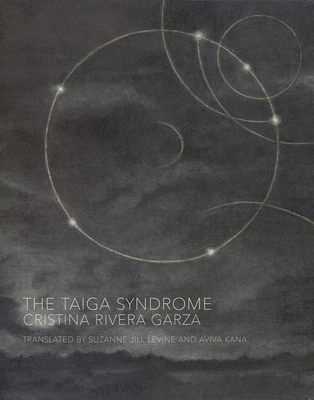 Translated from the Spanish by Suzanne Jill Levine and Aviva Kana. A fairy tale run amok, THE TAIGA SYNDROME follows an unnamed female Ex-Detective as she searches for a couple who has fled to the far reaches of the earth. A betrayed husband is convinced by a brief telegram that his second ex-wife wants him to track her down--that she wants to be found. He hires the Ex-Detective, who sets out with a translator into a snowy, hostile forest where strange things happen and translation betrays both sense and one's senses. Tales of Hansel and Gretel and Little Red Riding Hood haunt the Ex-Detective's quest, though the lessons of her journey are more experiential than moral: that just as love can fly away, sometimes unloving flies away as well. That sometimes leaving everything behind is the only thing left to do.